It is difficult for anyone born within the last two decades to believe that there was ever a time when video games, smartphones, and virtual reality didn’t exist. Those same people likely find it difficult to appreciate just how far technology has advanced, particularly in the realm of entertainment. The music industry alone has gone through a number of changes in how it delivers its products to the end consumer. Where once it was a major coup to obtain a record deal and have your singing voice recorded on to vinyl, today anyone can make their own recordings with the right software and equipment. This can, in turn, be uploaded to the likes of YouTube.com and then promoted to get views. Recorded music has gone from 78rpm records played on a Gramophone through an evolution that took the 78rpm to the lighter weight 45rpm single track vinyl and 33rpm LP (long play) multi-track vinyl. The next step along the evolutionary trail of recorded music was the 8-track, which was in a much smaller form and more robust than its predecessor. It wasn’t long before an even lighter weight version, the cassette, became popular, bringing about the introduction of portable and personal music players. With the onset of computer technology music reverted back to a round disc, which remained the major form of recorded music available for many years, only to be replaced to some extent with streaming of live videos in which performers could reach their audiences anywhere a strong Wi-Fi connection was available. Moviegoers will have noticed great changes in not only the image quality of the movies they pay to see in theaters, but also in the special effects that have turned what was once impossible to recreate on screen to an essential part of a film, that without would often prevent a movie from doing well in the Box Office. Those lining up to see the latest releases from Hollywood producers expect to be shocked and amazed at what is served up on the screen. 3D effects, though very well executed on several classic movies, never gained the popularity producers of such films expected. This unique form of filmmaking even inspired purpose-built theaters, which now are seeing a growing decline in the number of 3D movies being made. Despite offering a level of realism not offered by any other form of movie making and earning large profits just a few short years ago, the film industry appears to be largely abandoning it. It appears to be dying a slow death in much the same way as the drive-in movie did. While animation has been around for a very long time, it too saw some improvement through the use of modern technology. Once pictures are drawn on plastic film, taking weeks of painstaking attention to detail in order to make characters move, through the use of computer-generated images an animated film can be produced as quickly as it takes to perfect the voice over. Live actors can now be on the same viewable screen as an animated character, something that was unheard of in the early days of cartoon. Children’s expectations of being entertained today rather than creating their own entertainment is in part responsible for the huge growth in video gaming. 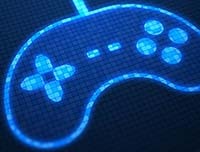 Great strides have been made as a result of technological improvements, allowing gamers to now immerse themselves in video games that can almost make players feel as if they are inside the game itself. While the likes of Pong and Pac Man fascinated us all many years ago, the need for bigger and better graphics has game creators scrambling to create a game that will become hugely popular amongst the most avid gamers. Filling a game with challenges that are not easily overcome is the least a game creator needs to do in order to win the attention of children of all ages. Video gaming has progressed from single player games with what is considered today to be a very little challenge, into interactive games that can be played with large numbers of people forming a team to try to beat their opponents. Initially, game players needed to be in the same room, using the same gaming console, but today, through the use of the Internet a team can be formed of players from all around the world, able to communicate with each other vocally. While it is undeniable that video gaming has made great strides, it is believed that there are much more improvements to be made in the coming years. Live streaming of movies, and television programs has allowed viewers to watch from anywhere at any time, typically without pauses for commercials. What once would have taken an hour to watch due to advertising breaks can be whittled down to as little as 30 minutes of commercial-free viewing time. Betting is one example for the use of live streaming. Install one or more of the betting apps on your mobile phone and you can watch thousands of live sports from dozens of global events. The airplane made travel to exotic regions of the world as simple as boarding a flight, sitting back and relaxing, and them embarking in your desired location. For those who cannot manage the cost of such a flight and the associated costs of international vacationing can obtain a close up, realistic experience through the world of virtual reality. Almost any destination, whether it is another country or just a sunny beach anywhere, can be pulled up on a VR headset, allowing the wearer to enjoy the experience as if they are actually there. 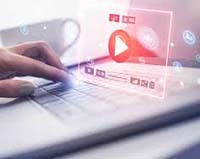 It is without a doubt the ongoing advances in computer technology that has made so many forms of entertainment bigger and better experiences for avid fans and customers. Where will it end? As long as the end consumer demands more from the entertainment providers, it is likely that there is no limit to the lengths the entertainment industry will go to not only appease them but to grab their share of the billions of dollars people spend to be entertained yearly. For exampple 44% of people who place a bet are doing so online, and of those people, more than ever before are using their smartphones and tablets for gambling. By harnessing the power of mobile apps and social media, betting service providers can appeal to a wider range of customers and attract higher numbers of young bettors. By effectively putting in place and managing multi-channel services, and excellent customer service experience can be guaranteed. It seems clear that whatever the future holds for the betting industry, digital technologies will have a key role to play in it and we are sure to see more transformations as time goes on and more advances are made.